This is a brand new website. It is an independent and authoritative source of information about all things Qaraqalpaq, from the origins and history of the Qaraqalpaq people to their present day lifestyle. 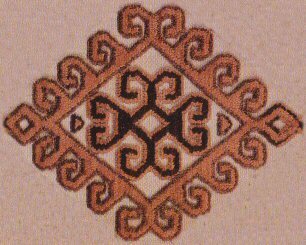 It contains important sections on the origin, migration and settlement of the Qaraqalpaqs. 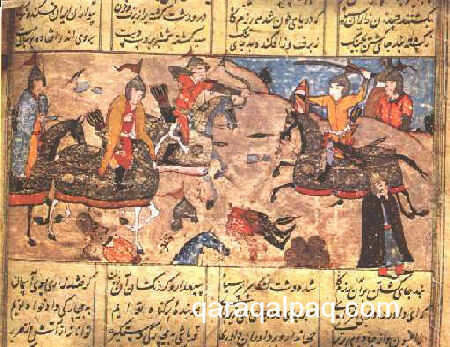 A Persian miniature painting of a Mongol battle scene. This particular page is not yet written. As individual pages are completed, so they will be uploaded onto the web. Please check these pages again on your next visit. This page was last updated on 5 July 2006. It was last updated on 4 February 2012. © David and Sue Richardson 2005 - 2018. Unless stated otherwise, all of the material on this website is the copyright of David and Sue Richardson.